The Godspeed keycap set project suffered from two manufacturing delays since Massdrop placed the purchase order last year – as unfortunately, Signature Plastics is having issues with their SA ABS keycap set production line. 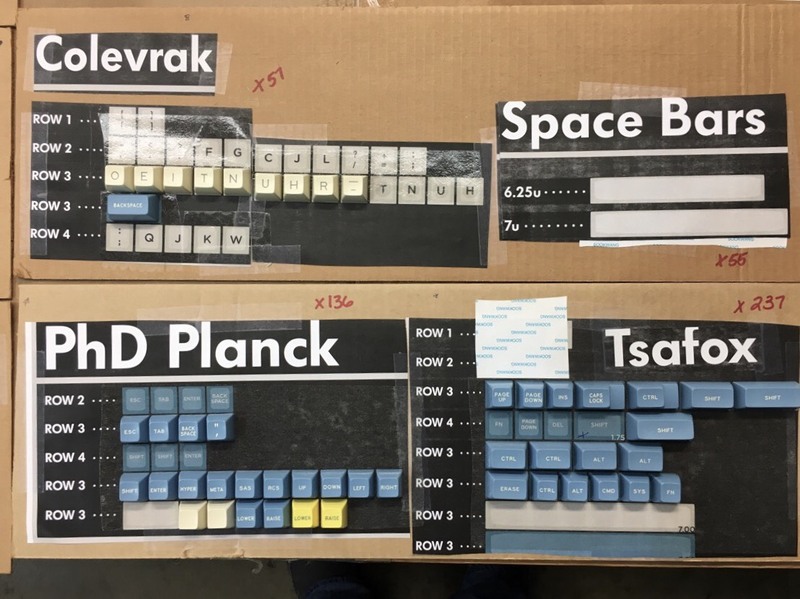 The demand for spherical profile keycap sets for mechanical keyboards has been increasing at a steady pace since 2015 and without improving their manufacturing capabilities, Signature Plastics has been struggling to keep up with the hobbyists demands. Last night I finally received the first production pictures of the Godspeed set. 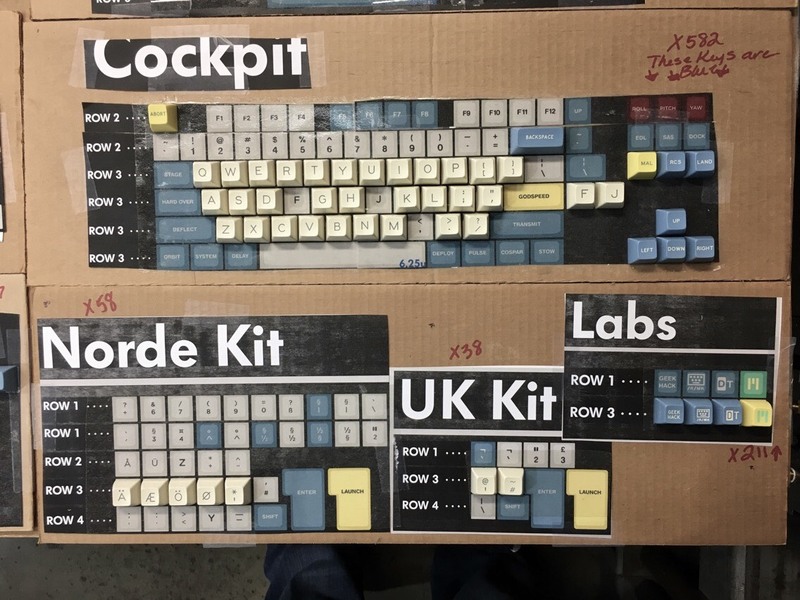 The good old cardboard templates (#tbpulse) are getting filled as some keycaps are still being sourced. 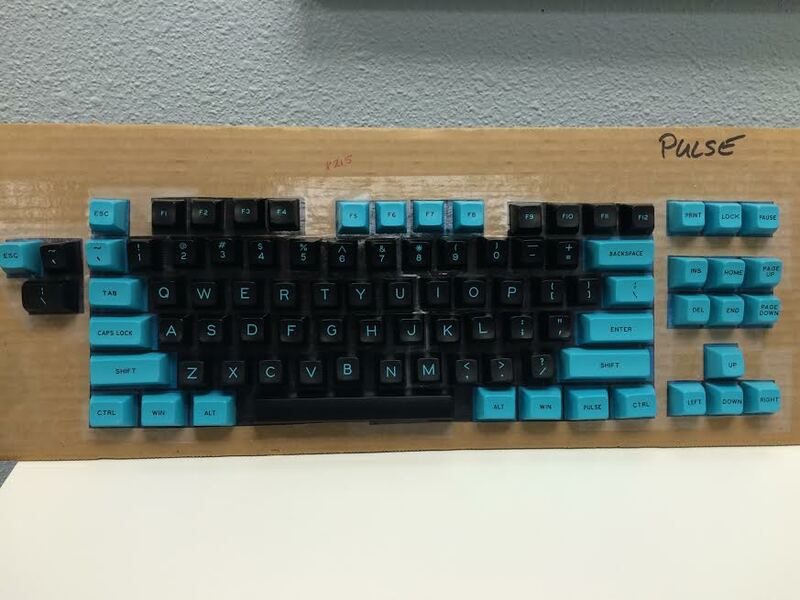 I was informed by Signature Plastics that production will finish in 5 weeks and they will ship the keycaps to the Massdrop warehouse as soon as they’re done. 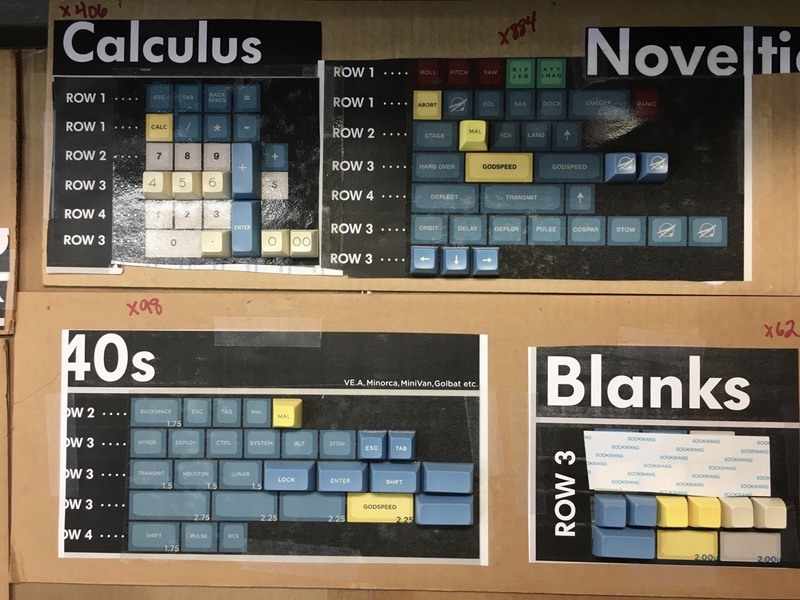 Nine months from placing the purchase order to having a SA profile keycap set from Signature Plastics delivered to our doorsteps sounds almost reasonable these days… I’m afraid that the upcoming SA projects will unfortunately take longer to conclude. 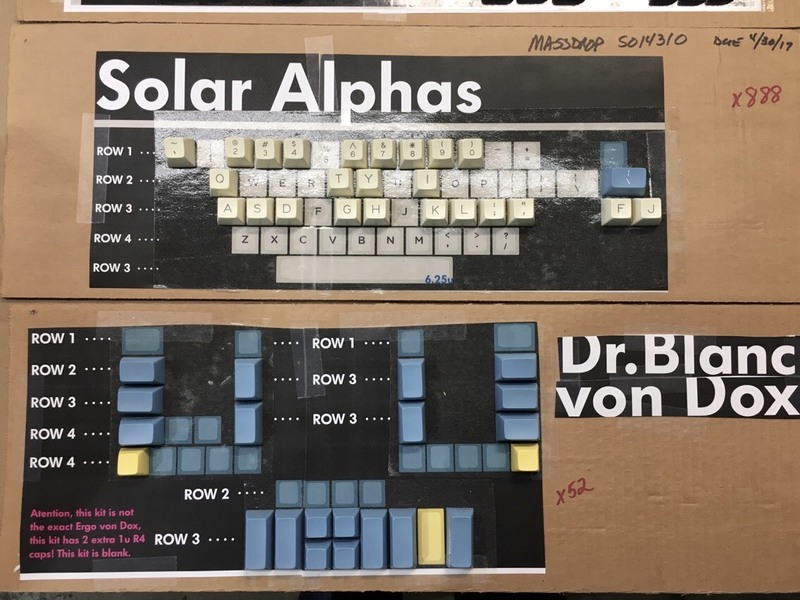 The blue and yellow keycaps present on Dr. Blanc von Dox, PhD Planck, 40s, Blanks and Modifiers represent the blue and yellow tones more accurately – as the blue is very subtle and the yellow is very smooth. 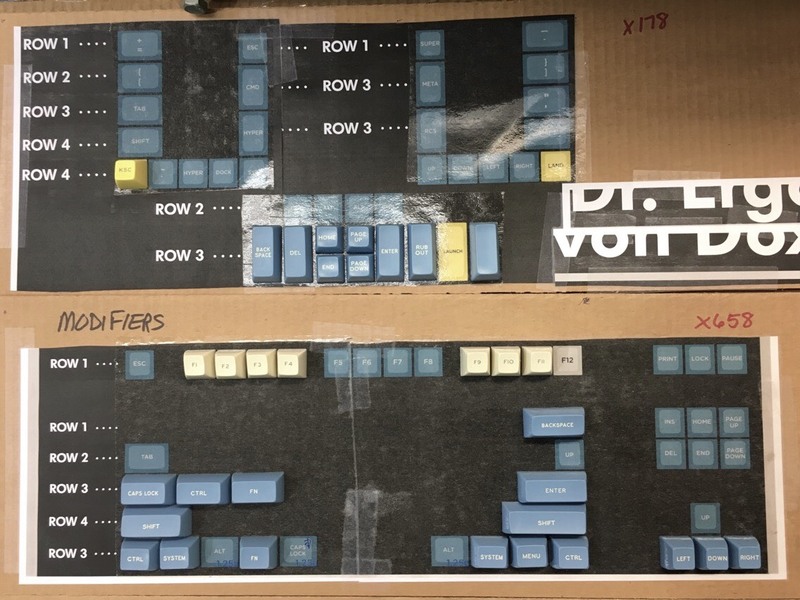 In conclusion, I believe there was an odd bright light source positioned directly at the upper part of the cardboard templates, therefore the color accuracy is kinda messed up. 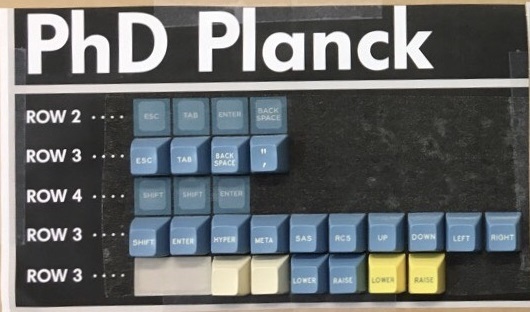 The PhD Planck is the kit that, for some reason, displays the keycaps’ colors more realistically I’d say. 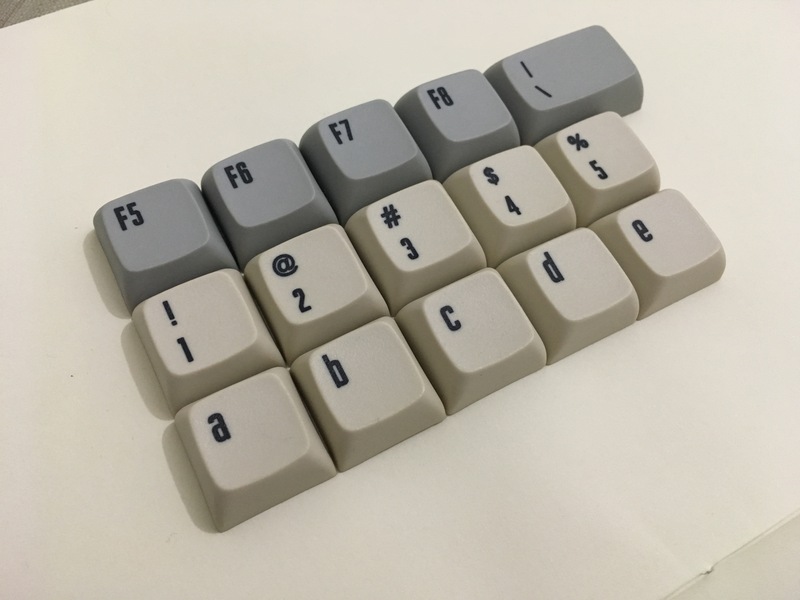 Use the picture below as a parameter if you wanna imagine what your keyboard will look like with official Godspeed colors. Speaking about Canvas, a couple weeks ago I received dyesub samples from the manufacturer with the official typeface used! I believe we materialized the vision and the legends look crisp. Again, please disregard the color accuracy of the pictures – they were shot on mobile and I don’t have adequate equipment to capture the colors more accurately than this. If you want a parameter, the portrait photo (first picture) displays the colors a little more accurately than the other ones. 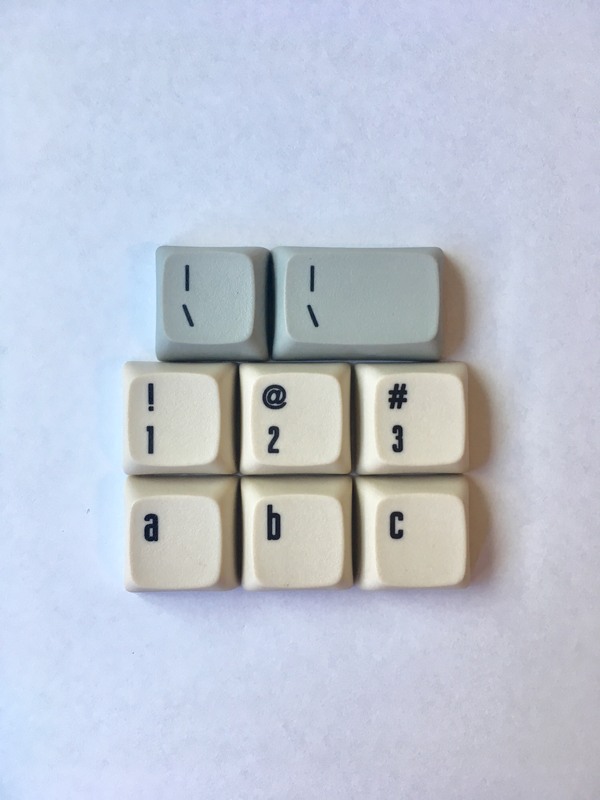 I have the keycaps on my hands and I can tell that the beige is in reality less creamy and the grey is cooler than what me and the camera managed to capture. F1 – F12 vertical alignment on the keycaps. Production seems to be on track and I hope to be able to share more pictures soon. Please keep an eye to the official drop discussion tab and your e-mail inboxes for updates. I’ll keep updating you guys as soon as I have more information, hope you’re excited! As always, thank you very much for the support. I appreciate that you took your time to check this update! Since you’re here anyway, I’d like to ask – what do you think about the Laser project? Join the discussion if you haven’t already and make sure to vote for your favorite Hiragana legends!